Loungewear is something I have been reluctant to invest in. I’m not a casual dresser, which makes relaxing out of the bedroom a tough call; when I’m at home I tend to make do with what I have: a jumper thrown over whatever I wore during the day or a velvet maxi dress, which my friends laugh at as being the fanciest idea of loungewear they’ve ever heard of. I’ve never been one to throw on sweatpants and a t-shirt so the hunt has been on to find loungewear I can feel comfortable, fits in with my existing style or, better yet, is versatile enough to wear all the time but cosy enough to lounge in. Aside from when it's really cold, I tend to only wear socks indoors, which means I like to get playful with them. URU Design has created individual socks that are designed to match; each pack is interchangeable in any combination meaning you can pick out a random pair and wear them together. Each pack contains seven socks made from organic combed cotton with a reinforced toe and heel for a comfortable fit. I own the Wilhelm set* featuring geometric patterns in muted tones; ideal for adding a little colour to your loungewear without going over-the-top. Now this is a piece I can get down with; classic in style, timeless in design, and a staple piece that works whether you’re lounging at home or need a top that doesn’t outshine the rest of your outfit. 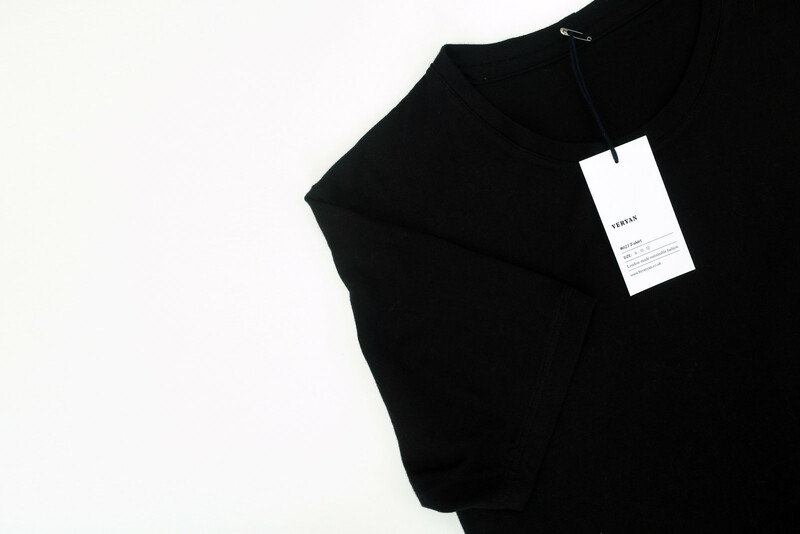 This black t-shirt* from the Veryan Core Range is the one and only t-shirt in my entire wardrobe (excluding activewear) yet it’s fitted in nicely when I need a nondescript top to pair with a skirt during the day or something comfortable to wear at home. Made from lightweight organic jersey it’s designed to be a core piece to integrate with your wardrobe, slotting in to fill the gaps and interchangeable depending on whether you need loungewear or daywear. I sized up to get a loose fit and find the cut to be the perfect boxy shape for layering, tucking in for a more put together feel, during a yoga session, or paired with leggings for casual lounging. My weak spot in loungewear is comfy knits, I love to have a comforting sweatshirt to thrown on indoors. 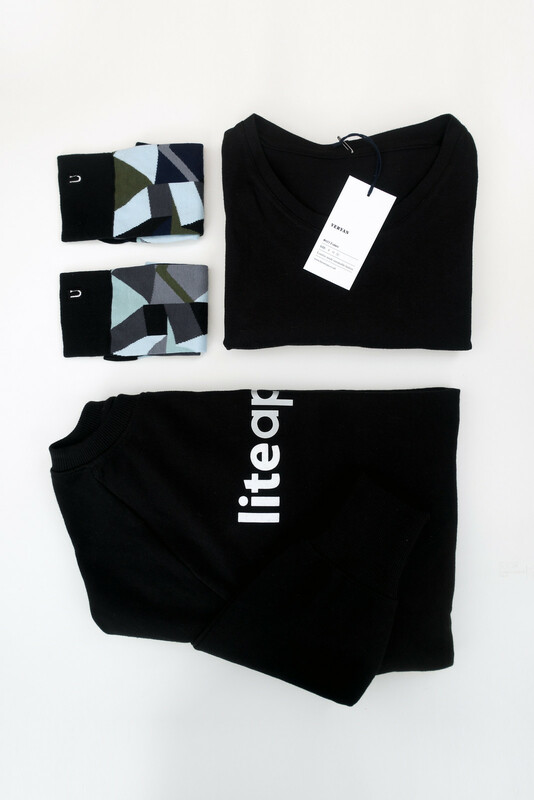 The Unisex Lite Apparel Sweatshirt* is made of 100% cotton with a super soft lining; the unisex small is roomy enough to feel casual but not so oversized it appears slobbish. Although I’m not keen on brand names emblazoned on the front of clothing I let this one slide because it’s just so damn cosy! 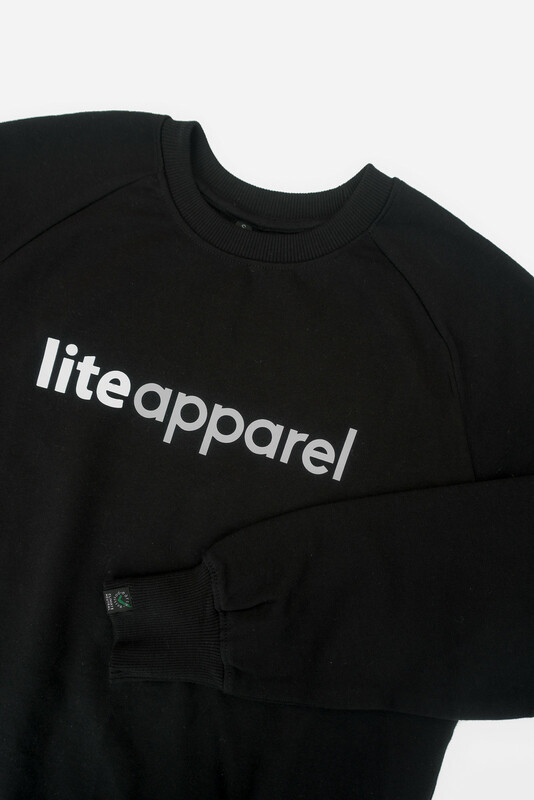 The fit and design is sleek enough to layer and I find myself throwing it on regularly when the cold creeps in. They also have a pullover hoodie, which I imagine is just as snug. 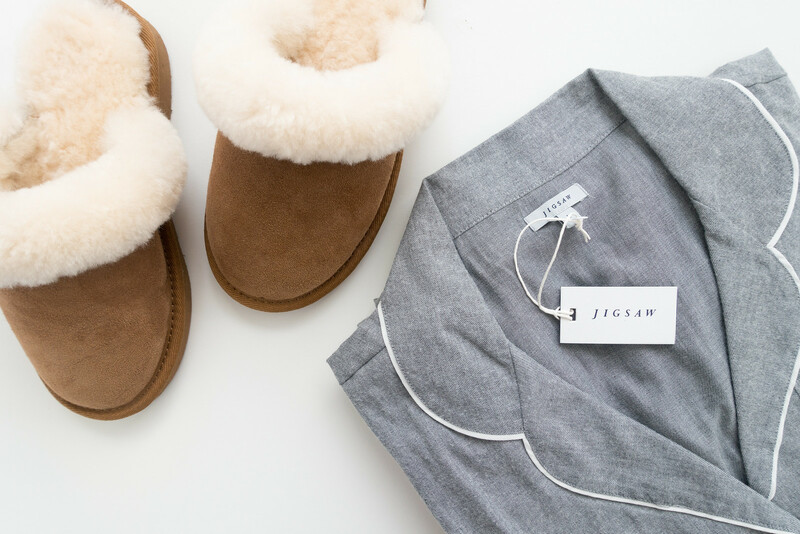 If you’re going down the route of loungewear, the perfect solution would be classic pyjamas; the ideal compromise between getting fully dressed and wanting to slouch around the house at the same time. For the longest time I wasn’t convinced I need a pair, after a hospital visit I came to the realisation they’re pretty useful to have around the house when you’re not feeling so great. After a fruitless hunt for ethical PJs from an independent, I ended up purchasing a classic grey set from Jigsaw - not quite the result I was looking for. Made from 100% cotton, these are a deliciously soft set of PJs and I love the colour; they feel luxurious on but they’re not quite right for me. I’m still on the hunt for the perfect set in dark grey or black - any recommendations? If you’re on your own hunt for loungewear, can I recommend this navy set?